Without question, the worst time to be a Wonder Woman fan was during the Silver Age of comic books (roughly 1956 to 1971). Merciful Minerva! Those Robert Kanigher-penned issues were dreadful. In fact, Wonder Woman (the comic book) won two industry awards during Kanigher’s tenure: “Worst Comic Book Currently Published” (in 1961) and “Worst Regularly Published Comic” (in 1964). And believe us, those honors were well deserved. Nothing before or since (including the “new” Wonder Woman of 1968) comes close to the garbage Kanigher was spewing every month. 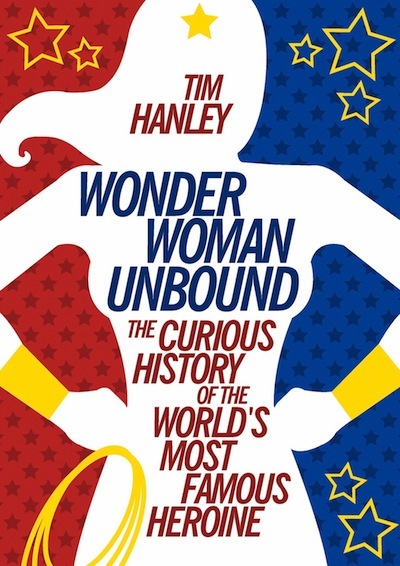 But it’s this nadir of Wonder Woman’s career that provides the most entertaining bits in Tim Hanley’s fascinating history of the Amazon Princess. Hanley agrees with us (more or less): Kanigher was a hack. His work was repetitive, and his grasp of continuity was practically nonexistent. His writing style was haphazard and his plots bounced around in the most illogical manner. Wonder Woman was created in 1941 by William Moulton Marston as a character rooted in a specific feminist utopian vision. Her mission was not to resolve tragic personal issues (like Superman or Batman), but to help facilitate a coming matriarchy. But Kanigher sabotaged all that stuff when he took over after Marston died. Under his direction, Wonder Woman lost her complexity, resulting in a character who was no longer unique, whose heroic mission was a hassle that stopped her from getting married, who didn’t fight real criminals, who let her boyfriend aggressively control their relationship, and who lacked any sort of metaphor or subtext other than the importance of romance and marriage. Kanigher wasn’t the only one who twisted Wonder Woman in knots, however. Gloria Steinem famously did the same thing back in 1972 when she and her publishing crew put the character on the cover of the very first issue of Ms. magazine. Her intentions were honorable, but Steinem projected her own values onto Wonder Woman. She created an historic icon that conveniently reflected her own beliefs instead of accurately depicting Marston’s original brand of feminism. Ultimately, there is no “true” version of Wonder Woman, says Hanley. “She is a powerful, vibrant woman in a sea of male characters, and for this she is loved.” But today she is an empty corporate icon with a long history of messy contradictions. 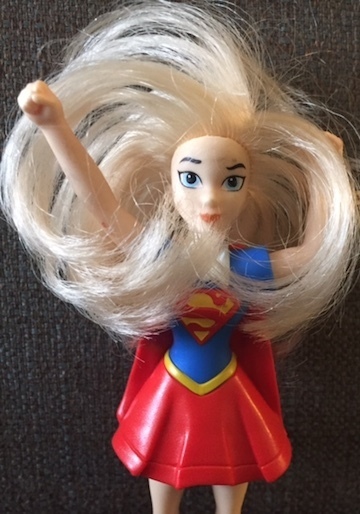 This entry was posted in Marvel/DC and tagged Gloria Steinem, Lynda Carter, Ms. magazine, Robert Kanigher, Tim Hanley, William Moulton Marston, Wonder Woman, Wonder Woman Unbound. Bookmark the permalink.